'In a time of tantalising talent' - the trailer says - Emma Thompson plays host to 19th century country house shenanigans for the artistic luminaries of the day including Hugh Grant as an improbably healthy Chopin (Great work with the accent, there). In this fanciful fictionalisation, Fanny Ardant plays the great diva Maria Callas as she and a producer friend (Jeremy Irons) plan a comeback in a mimed, televised version of Bizet's Carmen. The plot is as bizarre as Irons’ ponytail. Only British cinema's enfant terrible Ken Russell could create such a travesty: The Who's Roger Daltrey as Franz Liszt, synthesiser wizard Rick Wakeman as the Nordic god Thor, Paul Nicholas as a vampire Wagner (dressed as Superman), and Ringo Starr as the Pope - a supergroup to rival The Traveling Wilburys. 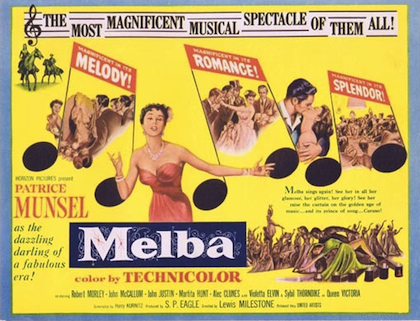 A fictionalized account of the life of Australian soprano Nellie Melba, who reportedly bore no resemblance to the high-pitched characterisation by Patrice Munsel, known as 'Princess Pat' and the youngest singer ever to star at the Met. Dame Sybil Thorndike even pops up as Queen Victoria, suffering Melba singing 'Comin' Through the Rye'. In a film that opens ominously with a dedication 'to lovers everywhere', Pavarotti plays a married Italian tenor who loses his voice while touring the U.S.A. and falls in love with his throat specialist (as you do). The singer's only film role won him Golden Raspberry Award nominations for Worst Actor and Worst New Star. 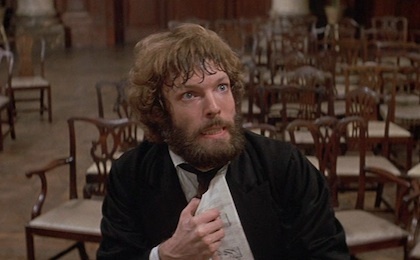 Melvyn Bragg wrote the screenplay for Ken Russell’s garish biopic of Tchaikovsky, which not unexpectedly plays fast and loose with facts in favour of flights of fancy. Richard 'Dr. 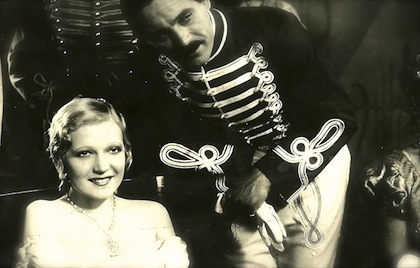 Kildaire' Chamberlain was a pin-up version of the composer. This biopic traces Alma Mahler’s love life with gloomy Gustav – played by Jonathan Pryce - and her considerable skills at seducing and dumping other legendary cultural icons in fin de siècle Vienna. Franz Schubert gets a lucky break when he’s invited to play for a princess. He performs a version of his new Symphony in B Minor but storms out in a rage when someone bursts out laughing, leaving the work – well – unfinished. Dirk Bogarde is a dead ringer - not - for Franz Liszt, who wants to chuck his Countess lover and wed an already married Russian princess. The music, costumes and design are all sumptuous but poor Dirk looks mostly troubled.